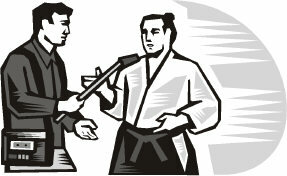 Welcome to our Aikido Injuries Forum. We would like to hear about your experiences and most interesting information. Share Your Story, so that others can benefit! Your story will be given a permanent webpage for others to comment on. In this way you'll be helping us to develop a real community spirit. After all, it's about sharing...right? How Did You Heal Your Aikido Injury? Do you have a great story or useful tip about how you experienced an Aikido injury, and what you did to heal it? Share it! Entering your Aikido injury and treatment story is easy to do. Just type!... it will appear on a Web page the way you enter it here. Do you have a related Aikido picture to add? Great! Click the browse button and find it on your computer. Then select it. My Aikido Injuries and How I Learned to Treat Them!